The sensitive period for the learning of language is among the longest a young child experiences, and the Montessori curriculum builds on it. 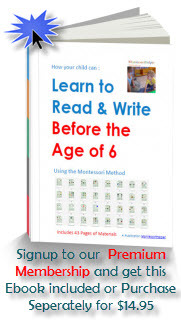 Before the age of 6, he has learned a language complete with vocabulary, pronunciation, grammar, syntax, and the like and vocabulary that is as broad as many adults. Learning of Language uses abstraction starting with phonetics (sounded letters and words). The child learns from concrete building blocks and not simple repetition which facilitates greater comprehension and growth. 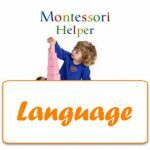 As a MontessoriHelper premium member you can access all our related pink, blue and green language lessons and materials (nomenclature cards and interactive apps) you will need for this purpose. The Curriculum Tracker features such as “Take Notes”, “Track Status”, “Mark Lesson Complete”, and “View Member Content”, will only work if you are logged in. See your login status below.